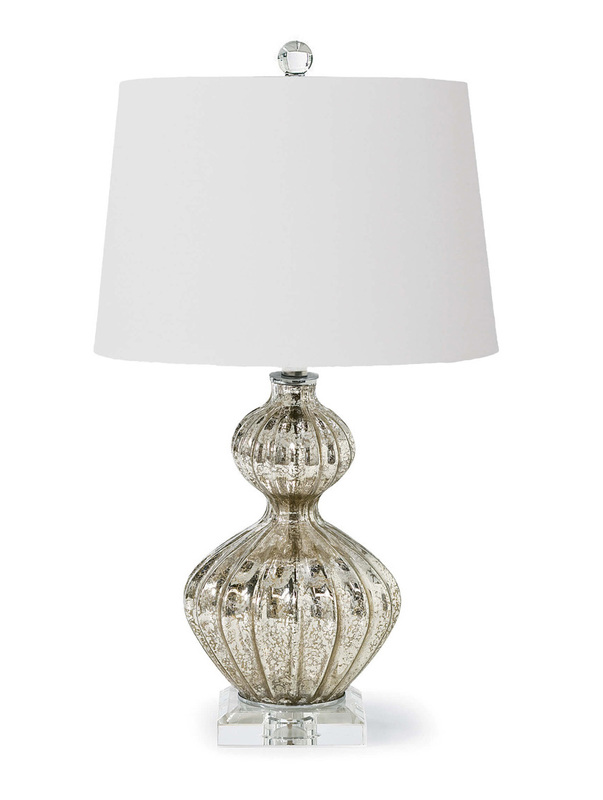 The Antique Mercury Ripple Lamp exudes a vintage vibe and is a one-of-a-kind lamp featuring sumptuous ripples on the glass base. Modern and sophisticated, it will add style and elegance to any room. Perfect for any decor or color scheme. Linen rolled shade. Shade: 12" x 14" x 9.5"
Wattage: 150 Watt Max bulb (not included) with 3 way switch.